Three Off The Tee: Will Winter Ever End? With another cold snap forecast for the weekend in the UK and the feel like temperatures predicted at around -5, there seems to be no end to Winter at the moment. We've been lucky in deepest, darkest Berkshire that we've not seen the snow fall many parts of the country have, but playing on frozen greens and in a biting wind takes a special kind of golfing dedication. I'm beginning to question whether I've still got that. My Youtube channel is still growing. If you haven't already subscribed, have a look at here (Three Off The Tee Youtube Channel) and make sure you do. If you do so and comment on any of my videos, starting with the latest, a nine hole scramble test around Royal Ascot Golf Club, (check it here Scramble Test) and include the phrase "BMW PGA Pro-Am" I'll enter you into a free draw to win two tickets for the pro-am that is the curtain raiser to the BMW PGA Championship at Wentworth. The pro-am will take place on the 23rd May. All you have to do is subscribe, and leave a comment on any video before April 30th. Come on, get involved. You know you want to. I know there are a lot of Royal Ascot members that read these ramblings some come on guys, get involved with the channel and subscribe. There's a lot of stuff I want to do in 2018 and I'd like to include you in it so click that subscribe button now. My channel is going to get much bigger and I'm going to be doing a lot of collaborations and content this year and I want anyone who is a subscriber (not just those at my club) to get involved. Let's make it a two way thing. It's been a while since I was on here last. I hope everyone is getting some golf of some description or at least working hard at the range, ready for warmer weather. Competitively, there hasn't been a lot of golf going on and there has only been two individual and one pairs event so far in 2018. The Quest For Single Figures started 2018 on 14.2 and I've had one buffer zone in the January monthly stableford and narrowly missed out on the buffer in the February version scoring 33 and 35 points respectively off the yellow tees (CSS being 69 against a par of 70) so I'm up to 14.3 as I type. Not ideal but a solid enough base to begin this years effort to get down and ideally to single figures. There's a video coming on the channel soon outlining my goals and objectives for 2018 so check that when it drops but goal remains the same. I have struggled this winter with a bad back which has seriously hampered play and practice and so my much vaunted plans to work on the swing changes from my lesson with Paul Foston at the London Club (courtesy of Golf Monthly) haven't materialised. However I'm starting to show some promising signs and when I'm on at the moment it's usually decent. Sadly though I'm still struggling to be "on" often enough and there are still some poor rounds in there. It's difficult. It's winter golf with bare or muddy lies which makes pitching and chipping hard and swinging with so many layers on to keep warm makes tempo and consistency tricky. Let me just say, there's going to be a distinct change of focus. The Quest For Single Figures" remains the ultimate target but the way we get there is going to change. I feel that at times it has become an all-encompassing pursuit. I'm taking a far more organic approach in 2018. My practice regime is going to be stripped back and more time spent on the course. Practice is going to be split 80/20 in favour of the short game. I intend to do a lot more on course practice and will be doing many more scramble tests, pitching challenges from varying distances (see this 40 yard pitching challenge video https://youtu.be/5FsjsSX9v5k for an idea of what I am on about). I'm also going to introduce a bunker challenge too. I have found these challenges are far more realistic and there is a distinct pressure trying to get up and down from different lies and from different distances. I've already found that when I'm playing and face this sort of shot, I am more confident about executing having done so in practice. I also intend to do a lot of work on my putting. It's an area that's letting me down, especially holing out from 3-6 foot. This is usually a strength but one I've neglected over the winter and is something I need to get onto quickly. 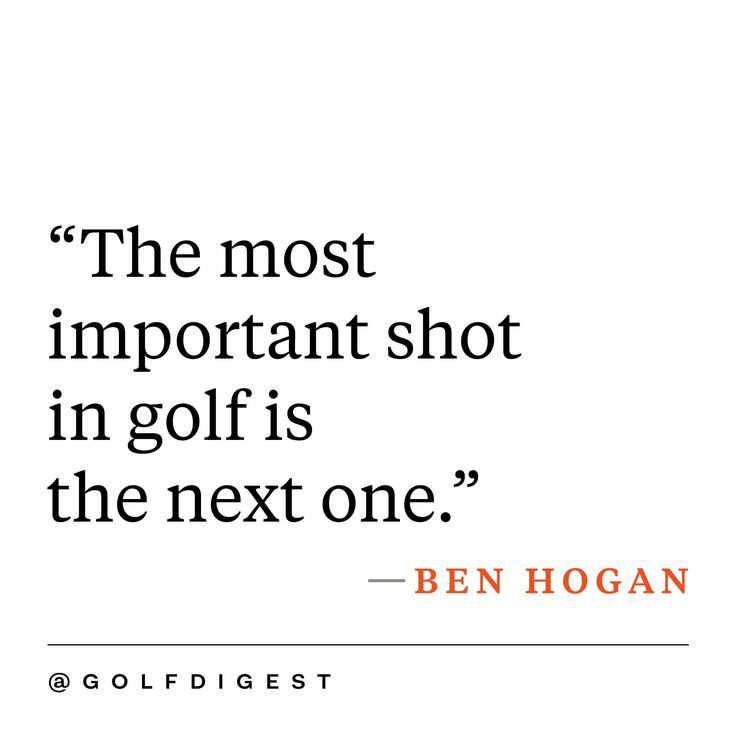 My point (rambling as it is) is I need to take pressure off myself and let the good rounds dictate handicap cuts and "The Quest" will take care of itself. I've tried too hard I feel, and arguably had too much tuition trying to get something that is technically correct. My swing has flaws, but there again if look around my club at those already off single figures, many have swings that vary from very orthodox to the downright agricultural but the point is, they keep the ball in play and for the most part have very proficient short games. My practice time is heavily short game based therefore. 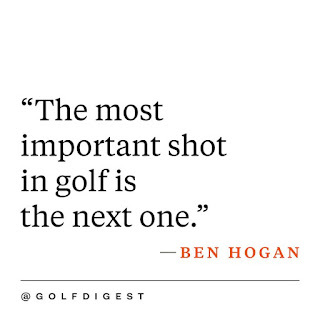 I intend one range session per week on the long game. That's all. I want to spend the majority on the course, either playing or working on these scramble tests with a single short game practice session per week, working on a specific area each time thrown in. As I've alluded to already, there are some promising signs. I played a better ball stableford competition on Sunday (18th February) and I've entered into a new partnership. My new man has rejoined after a number of years away and we go way back, as far as the golf club being situated in the middle of Ascot race course, and we know each other away from golf too (usually in a pub). This competition was our first outing. We ended up coming sixth, out of thirty three teams with 42 points and while the winning pair romped it with 47 points, we were only a point off second place (43 points). I had a good day out and had 37 points (off the yellow tees) with my own ball. As always, and it's a recurring sense of immense frustration, I chucked two horror holes in. This time it was our par five 15th having been in position A on the fairway off the tee. I didn't feel comfortable over my second, considered stepping off the shot, but as we all do, assumed it'll work out and shunted the ball into the rubbish and ran up a triple bogey (for no points). Going out of bounds off the next racked up an eight on a par four. Even by his own admission, my partner didn't play well, but with no "I" in team, he found his form on these two holes for a par (net birdie) on the fifteenth and a bogey (net par) on the sixteenth. We dovetailed well and the signs for a productive partnership are definitely there. I'm going to be working hard on a clearer mind on the golf course. I thought my way round well bar two holes. It is something I'm working on, a solid pre-shot routine, a clear target, no swing thoughts, smooth tempo and execute. I'm going to do some work on my swing between now and the real start of the season, but I'm not going to be making wholesale changes. I'm working on a better takeaway, a shorter swing and most importantly a better clearance on the down swing to give myself more room through impact. So far it's starting to come together. All of which brings me neatly back to my opening tirade. The weather for the weekend is bitter and I fail to see any productivity in my game in being out there, hitting to rock solid, frozen greens and getting so cold I lose feel in my hands. Last weekend was a teasing glimpse of Spring but now we're back in the depths of cold Winter. When will it end so I can get out and make 2018 the year I make a real assault on single figures. I hope your game is coming into shape and if you have set your own goals, please let me know by leaving a comment on here (or my youtube channel). I hope the weather is kinder wherever you are but fear not, the Masters and so the start of the season is coming and coming fast. Keep patient, enjoy your golf and I'll see you for another update soon.